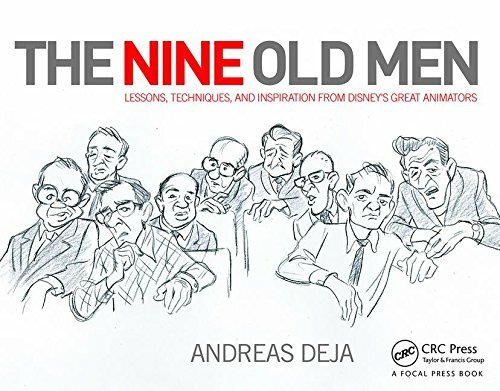 Disney animator/director Art Stevens told me once :" You never asked for changes in a Milt Kahl scene, because it was always perfect." I myself do know about a few corrections and scene cuts that even Milt had to endure, although most likely that didn't happen very often. 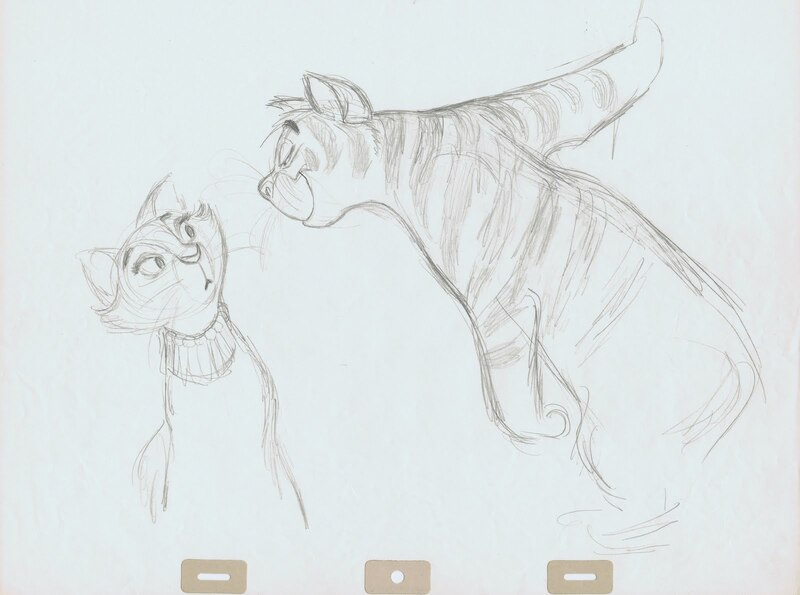 Look at the pencil animation of this sequence where Duchess meets O'Malley for the first time. There are a few fascinating aspects to it. Milt had set the desgin of the characters, and he also animated the opening scenes here, Ollie did the second half. You can see that Milt's version of O'Malley is much leaner than Ollie's, and yes, there were arguments about how to draw this character. Ollie told me that during production of "The Aristocats" Milt took a vacation to Europe. Even being away from the studio for a while, O'Malley's model was still on Milt's mind. So he sent Ollie a postcard almost every day, reminding him that the character is not to be drawn too fat. "Can you believe that?" goes Ollie. 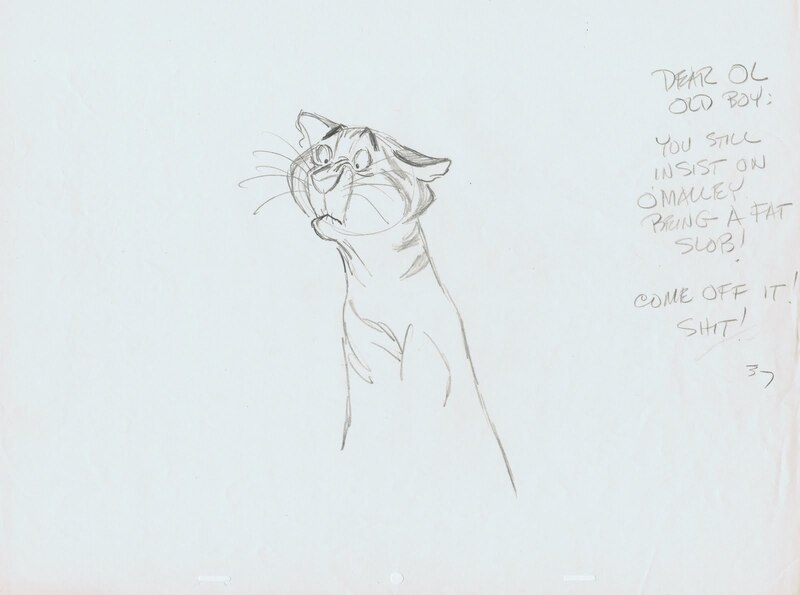 When I look at Milt's version, I can sure see a "Shere Khan hangover". The expressions in his eyes and the jaw overbite for example. The acting seems a little busy, the close up scenes don't quite have the feeling that the situation calls for. O'Malley is trying to charm Duchess, but his head moves in ways that is a little distracting. 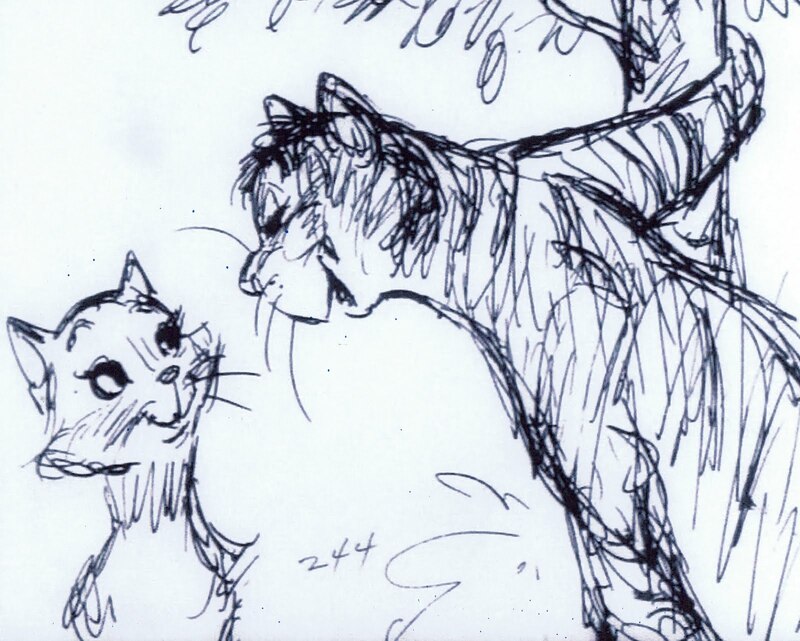 Milt's scene of Duchess clapping her paws was later redrawn, the hair on her cheeks is longer and has more overlap. I was told that Milt never noticed when this change was made. As O'Malley talks about her eyes, her close up was replaced by a different looking Duchess. In the long shot O'Malley opens his arm when he talks about bright sparkles. Perhaps Woolie thought that this gesture looked too human, because it was cut in the final version. I do like the stripes on O'Malley, but I can see that they had to go for economical reasons. It's so interesting to compare the two versions of the same sequence, and to find out that Art Stevens wasn't completely right on this one. This is an example for how Milt used a Ken Anderson sketch as inspiration for his character designs. One day Ollie found this drawing on his desk with a note of Milt's disapproval of how he was drawing O'Malley.